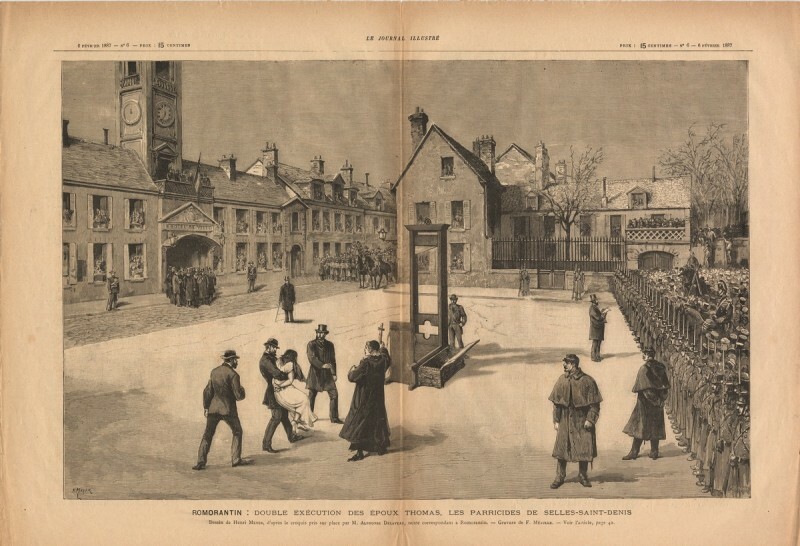 Georgette Thomas was guillotined on this date in 1887 at Romorantin, followed moments later by her husband Sylvain. This farming couple had burned to death Georgett’s mother Marie Lebon six months previous, aided by Georgette’s brothers Alexander and Alexis who both caught life sentences for their participation. Lebon’s offense? The family had become convinced that mom was a sorceress on the strength of a compounding series of rural disasters: lost hay, failed harvests, sickness striking down horses and chickens and even the human kids. To exorcise her infernal influence, they doused her with oil and holy water, set her ablaze, and forced her into the farmhouse fireplace … right in front of those kids she had bewitched. Some two thousand people crowded the public square for this rare spectacle of a husband-wife joint marital severing. 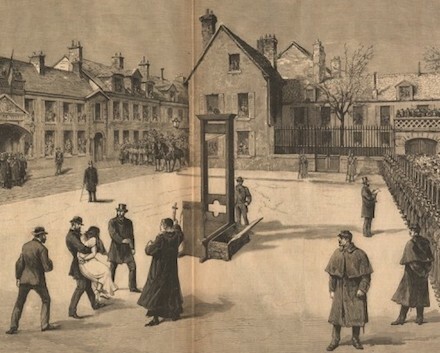 So shocking was the execution of the struggling Georgette Thomas in particular — and so distressed was that veteran taker of heads Louis Deibler, who asked out of any female chops in the future — that France never again publicly guillotined a woman.